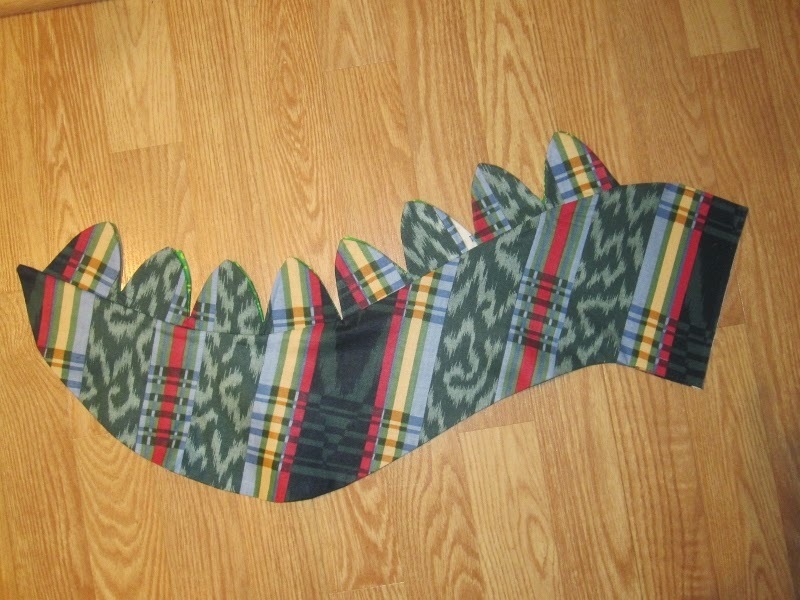 So far, I've made one for Luc, one for Patric and now here's the last dinosaur tail for Hallowe'en. It's made out of light-weight upholstery fabric. My daughter takes her little boys out on Hallowe'en and the theme this year was dinosaurs - she likes to dress-up too. I free-hand made the pattern bigger than the ones for the little boys. I left the spikes the same size but just doubled the number. My daughter told me to use up some ugly fabric. 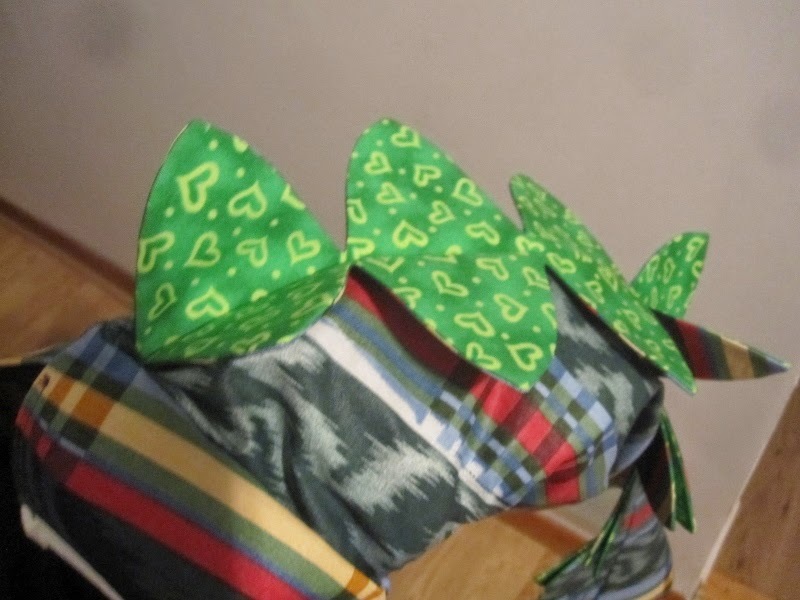 Sorry it's blurry but it's hard to take a photo of one's arm inside the tail while trying to keep the spikes open so I can photograph the accent fabric I used. It's the same as Luc's but in green instead of yellow. Well done, Dolores! They'll be the cutest dinosaurs ever. I really hope there will be photos forthcoming of the real dinos!! Looking forward to seeing a photo of the three dinosaurs in all their glory. So cute! I hope we'll see pics of the little dinos next Friday night! Oh Dolores!!! That dinosaur tail is super fab!! Most Australian's don't celebrate Halloween so I didn't realize there was a theme chosen!! What fun. Hope the kids had heaps of fun.